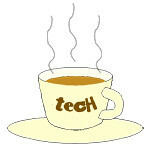 Wi-Fi « Tech bytes for tea? The Deco M9 Plus is TP-Link’s first mesh Wi-Fi system with smart hub functionality, aimed at providing Wi-Fi that’s “Fast, Smart, Everywhere”.Prices and availability below. 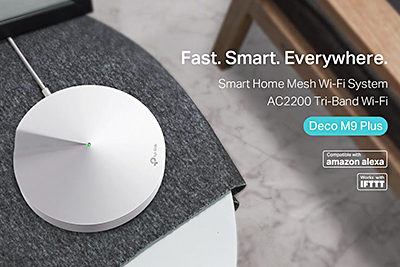 The new Smart Home Mesh Wi-Fi System AC2200 Deco M9 Plus router. AC2200 Smart Home Mesh Wi-Fi System Deco M9 Plus offers a simple way to provide a strong Wi-Fi signal in every corner of homes up to 4500 square feet with two Deco units. Users can enjoy fast, secure Wi-Fi for over 100 connected devices, and take control of all their smart home devices with Deco M9 Plus, with no need to buy an additional hub. Google has launched its home Wi-Fi system in Singapore – the first in Southeast Asia and the 8th country in the world to begin shipping the mesh router. Prices below. Customers will be able to get a three-pack Google Wifi at $0 upfront cost when they sign up or renew selected StarHub Broadband or Hubbing all-in-one plans. Google Wifi will be available in Singapore from 31 August, 2017 – exclusive to StarHub customers. 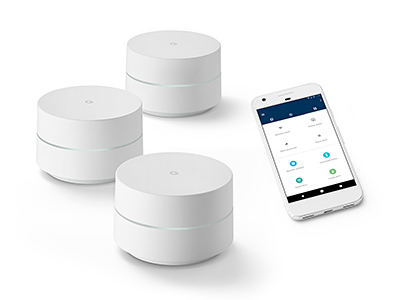 By setting up two or more Google Wifi routers around the home, a mesh Wi-Fi network is set up in the home that extends the range of a traditional router and provides coverage to dead Wi-Fi zones plaguing most home Wi-Fi networks. Alex King, Google Wifi Product Manager explaining features of the app. 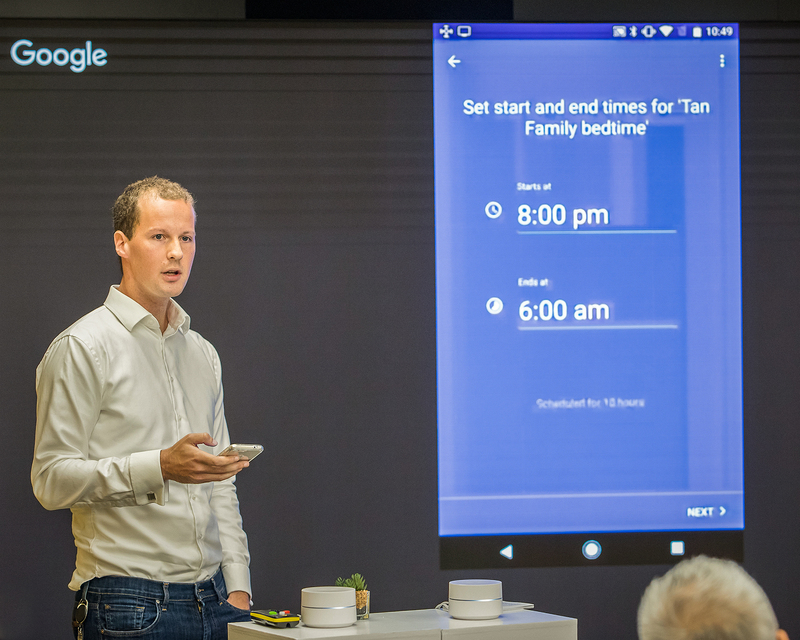 Google Wifi was launched at the offices of Google Asia Pacific in Singapore. This is especially useful for larger apartments or homes with physical layouts that are introduce Wi-Fi dead zones. Linksys Velop promises to deploy your home Wi-Fi network to the furthest corner and ensure there are no dead Wi-Fi zones. Available from 12 April in Singapore in 1-pack (S$349), 2-pack (S$599), and 3-pack (S$749) configurations. Sick of poor Wi-Fi signal in your own home? Check this out! Velop is a Tri-Band modular Wi-Fi system that can be installed in various mesh configurations, helping users to get the most out of their broadband subscription by promising 100% of their Internet speed to the edge of their network. Linksys launched Velop in the Atlas Showroom at Millenia Walk in Singapore. 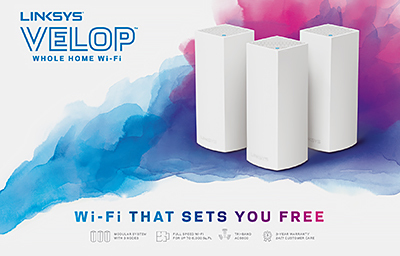 Singtel Fibre Broadband customers can purchase a 3-pack Velop at $30/month over a 24-month contract. That works out to S$720 over the 2-year contract. IoT: LILEE Systems announces fog computing gateways and cloud network solution for distributed, mobile, and industrial enterprise environments. The new TransAir STS Series Gateways and T-Cloud Management Platform combine to offer high-performance IoT (Internet of Things) innovations to new markets. LILEE STS gateways offer multiple wired and wireless connectivity options and are installed in distributed assets, such as a bus or retail store. LILEE Systems, provider of advanced mobile connectivity solutions and emerging innovator in cloud-based network solutions, announced today its new platform for mobile and fixed distributed enterprises, such as bus fleets and retail franchises, which includes multiple first-to-market capabilities. “A new generation of intelligent connectivity, provisioning, and management solutions are needed to drive adoption of IoT into a wider range of markets, such as first responders, retail, and smart cities,” said Vikrant Gandhi, industry director of Information & Communication Technologies (ICT) at Frost & Sullivan. LILEE’s TransAir STS series gateways and T-Cloud platform enable organisations to more rapidly and reliably network, track, control, and interact with their mobile and fixed assets to improve operations and reduce costs. They include an onboard application engine that enables enterprise applications to run in a fog-computing architecture; i.e., integrating on-site and in-cloud computing. Linksys launches home wireless solutions leveraging next generation Wi-Fi, MU-MIMO & seamless roaming. Prices & availability below. The new Linksys home wireless networking products shipping in Singapore now. Linksys has launched in Singapore three new networking products in its MAX-Stream MU-MIMO portfolio. EA9500 (S$539) – Tri-Band router capable of up to 8 MU-MIMO streams. RE7000 MU-MIMO (S$199) – range extender with seamless roaming. WUSB6100M (S$129) – MU-MIMO USB adapter. As part of its launch, the Linksys EA9500, one of the world’s most powerful routers and winner of the Network World Best of CES 2016, will be made available at a discounted rate of S$100 to Singtel Fibre Broadband customers from 14 July 2016. “With the rise of bandwidth intensive activities, such as 4K streaming and online gaming, the importance of an efficient and optimized Wi-Fi network is more critical than ever. The Max-Stream family of products provides the broadest array of MU-MIMO capable and enabled products in the marketplace. MU-MIMO enables multiple devices to communicate with the router and/or range extender simultaneously, so the result is a faster and more reliable Wi-Fi,” said Justin Doucette, Senior Director of Product Management at Linksys. Singtel Fibre Broadband customers can present their latest broadband bill at selected Challenger outlets to enjoy the offer. This promotion is offered exclusively by Singtel. The Linksys AC5400 Tri-Band MU-MIMO Router (Max-Stream EA9500) and AC600 MU-MIMO USB Adapter (WUSB6100M) will be available exclusively at Challenger stores and Hachi.Tech from 14 July 2016. These two products will be available island-wide from 1 August 2016. The AC1900 MU-MIMO Range Extender with Room to Room Wi-Fi (RE7000) will be available from 1 August 2016. Challenger will hold a launch offer exclusively for their members – purchase the EA9500 router at a special price of S$499 and get the MU-MIMO USB adapter FREE while stocks last (savings of S$169). M1 boosts network capacity, indoor coverage with Nokia in Singapore’s busiest MRT stations. The new Flexi Zone small cells network in Orchard MRT, Raffles Place MRT and Jurong East MRT has increased 4G LTE download speeds by up to 2 times, compared to the performance over the existing base station and antenna system. M1 Limited (M1) and Nokia have completed the installation of indoor small cells and WiFi networks to meet the surging data demand of mobile device users at Orchard MRT station, Raffles MRT Station, as well as Jurong East MRT station. With the high adoption of advanced smart devices in Singapore, the demand for sharing and viewing high-resolution photos and high-definition videos have been growing. To further improve customer experience in accessing data, M1 is working to provide high quality mobile coverage in MRT stations to thousands of passengers, particularly at the crowded zones during peak hours. AirTies Wireless Networks, a leading supplier of advanced wireless products, has partnered Singtel to provide the telco’s fibre broadband subscribers with Singtel WiFi Mesh. Prices below. Linksys has launched in Singapore their Velop whole-home Wi-Fi mesh system based on Tri-Band modular Wi-Fi routers. One to three packs available. 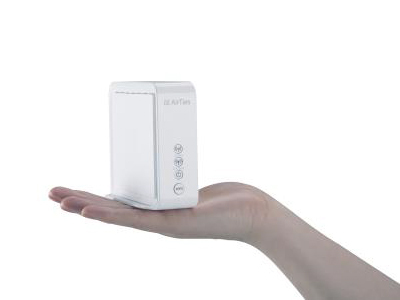 The AirTies 4920 1600 Mbps 802.11ac Video Grade Wireless Booster is available in Singapore exclusively to Singtel Fibre Broadband subscribers. Singtel WiFi Mesh is a broadband add-on that helps users mitigate Wi-Fi dead zones within their home, improving customers’ surfing experience. “APAC registered the largest absolute growth in internet user numbers with an impressive 12% year-on-year growth, the global operators are seeking for more stable and reliable broadband solutions to satisfy their customers, and AirTies meet the market needs. In Singapore, we are pleased to be working exclusively with Singtel, the largest broadband provider in the country,” said Philippe Alcaras, CEO, AirTies. Singtel WiFi Mesh with Client Steering technology actively switches devices seamlessly between APs (access points) dynamically, to improve Wi-Fi performance from any corner of your home. Unlike Wi-Fi range extenders or boosters, the smart WiFi Mesh technology enables the devices to “talk” to one another to select the best wireless transmission path for your device from any corner of your home. With band steering capabilities, it switches your device to the optimum band (2.4GHz or 5GHz) whenever you move from one room to another, to ensure seamless wireless surfing. WiFi Mesh can be easily connected to a Singtel-issued router (Aztech 7000, 7002, 7003 and 7009) or your own router to extend Wi-Fi coverage in your home. AirTies was at CommunicAsia in Singapore and I got a peak at the range of Wi-Fi mesh boxes they have on display. Depending on your home layout and size, you can choose the number of WiFi Mesh devices you need at home. Motorola’s new digital radios now come with Wi-Fi to help reduce downtime, with Capacity Max system to expand networks and to increase the number of users. The next-generation MOTOTRBO radios feature longer battery life, indoor location-tracking and integrated Wi-Fi allowing all radios in a system to be reprogrammed simultaneously without taking them out of users’ hands. In manufacturing, government services, transportation and other industries, downtime equates to increased costs and loss of productivity. “The next-generation MOTOTRBO radios reflect the features and functionality our customers have been asking for and help them enhance productivity, efficiency and worker safety. The ability to update via Wi-Fi keeps workers on the job, and features such as better man-down alerts and indoor location tracking are crucial for working in hazardous areas,” said Claudia Rodriguez vice president, Devices Product Management, Motorola Solutions. Motorola Solutions is introducing next-generation MOTOTRBO, a line of digital radios with features such as Wi-Fi connectivity that can help save workers hundreds of hours in lost time while delivering secure, reliable and cost-efficient professional two-way radio communications. Whether they are plant workers or teachers, the process of updating user’s communications equipment can be time-intensive. For a workforce of 350, for example, this can lead to more than 400 hours of lost time. Next-generation MOTOTRBO radios feature an integrated Wi-Fi solution that helps reduce the update process to a matter of minutes by eliminating the need for employees in the field, classroom or warehouse floor to physically drop off equipment at the office to receive software upgrades. Coupled with 29 hours of battery life, this means workers can spend more time focusing on the task at hand. Linksys has launched the world’s first MU-MIMO enabled wireless router. Available from 4 August at Challenger and subsequently at other retail stores and online for S$399. The new Linksys Max-Stream AC2600 MU-MIMO Gigabit Router (EA8500). RRP in Singapore: S$399. The new Linksys Max-Stream AC2600 MU-MIMO Gigabit Router (EA8500) leverages the 802.11ac Wave 2 MU-MIMO (Multi-User, Multiple-Input, Multiple Output) technology, which helps ensure uninterrupted Wi-Fi connectivity to all the devices in the home and function as if multiple devices have their own dedicated router. “MU-MIMO technology revolutionises the wireless experience in the home. The average home has more than 8 devices connecting to the Internet, and they’re not used for just sending emails and tweets. We’re streaming movies and TV shows in high definition, we’re video chatting with our friends and family, and we’re playing video games against competitors around the globe, all on different devices and often at the same time,” said Mike Chen, vice president of product management, Linksys. With MU-MIMO, the entire household can stream movies, play video games, listen to music, shop, check email and more – all at the same time. The Linksys EA8500 router incorporates Qualcomm® MU | EFX MU-MIMO technology+, which helps to provide up to 3x faster speeds* compared to current W-Fi. The combined 2.53 Gbps Wi-Fi speeds (up to 1733 Mbps for 5 GHz and 800 Mbps for 2.4 GHz‡) help minimise buffering and enable faster downloads. A supercharged 1.4 GHz dual-core CPU and four Gigabit ports offer blazing-fast speeds perfect for heavy-bandwidth wired gaming. Users can attach devices to the USB 3.0 port and a combo USB 2.0/eSATA port for uninterrupted personal cloud content streaming or to share data across their network. The four removable external antennas are adjustable for maximum coverage, while beamforming technology concentrates the Wi-Fi signal to each device for stronger, better performance and increased mobile speed and range. MU-MIMO, or Multi-User, Multi-Input, Multi-Output. Having a MU-MIMO router is like having an individual router dedicated to multiple devices in your home.